RUCHITON | JBL Drug Laboratories. Cardiac weakness, Mental & General weakness, Anaemia Anorexia, Hepatic debility Vitamin A & C deficiency states. 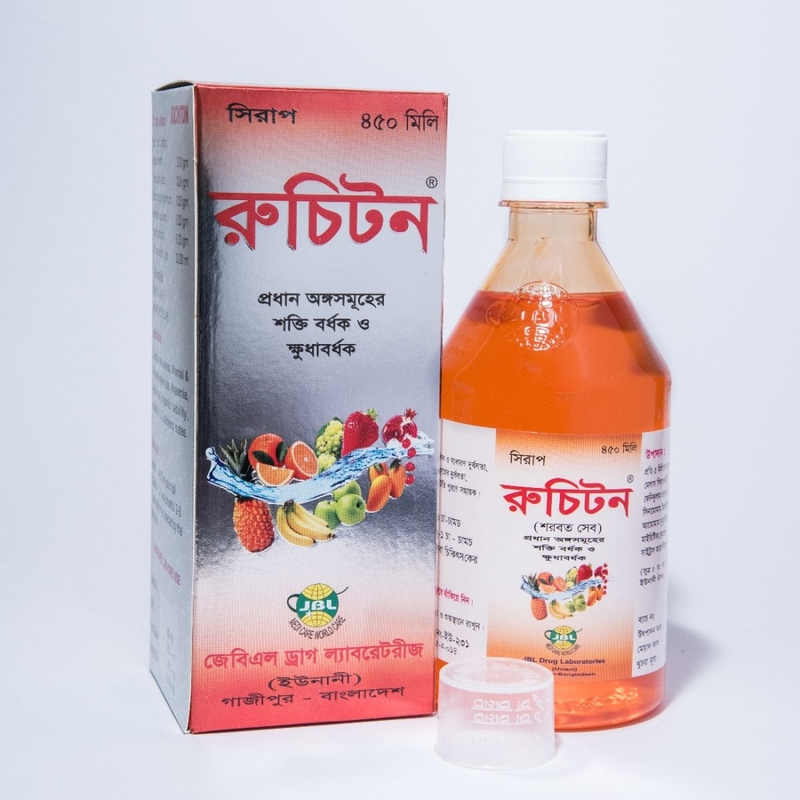 Ruchiton is vitaminised herbal tonic which is scientifically proven. It consists of various type of vitalizing herbs . 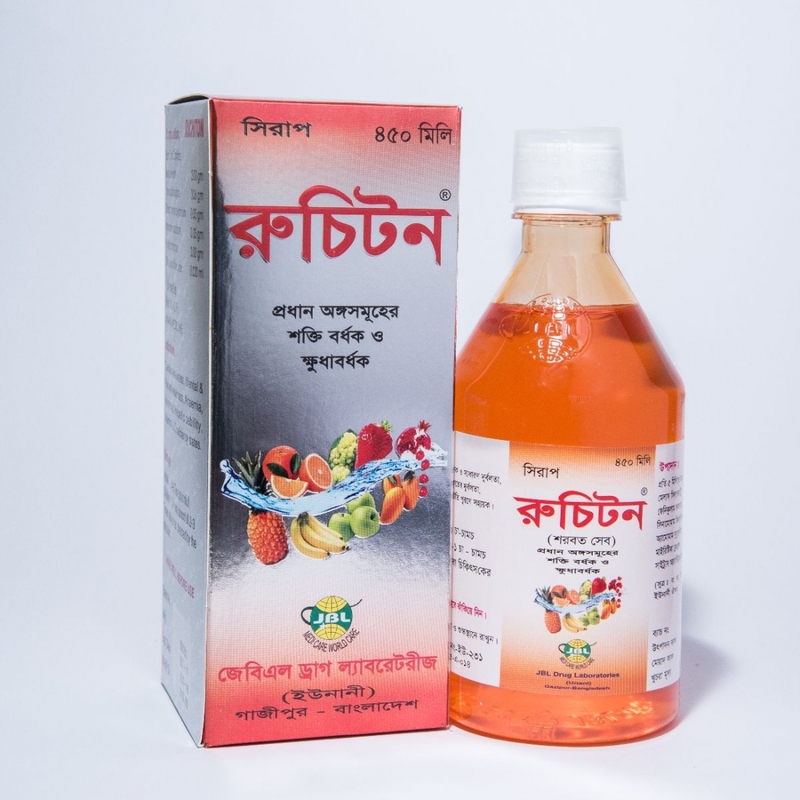 It is a well known tonic with vitamins, minerals and herbal extracts . 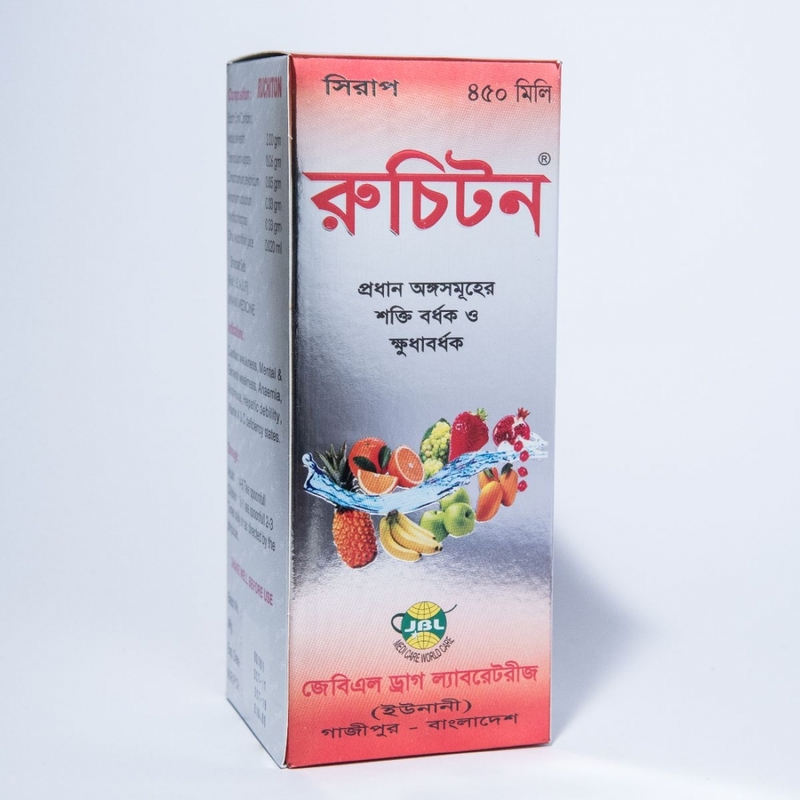 The formulation is specifically designed to provide comprehensive benefits with vitamin & minerals from herbs as well as to alleviate the symptoms like general weakness, cardiac weakness, anaemia, anorexia , hepatic debility , vitamin A & C deficiency states . Ruchiton contains a balanced proportion of extracts of various vitalizing herbs which have been successfully used for 10 years to provide energy & stimulation for muscles, nerves and appetizer. Adult : 4-6 tea spoonful twice daily. Children : ½ -1 tea spoonfull 2-3 times daily or as directed by the physician . There is no evidence available on contraindication but it may happen in patients who are hypersensitive to any of its ingredients. 100 ml, 200 ml & 450 ml PET bottle. No known side effect with Unani preparation Ruchiton syrup .